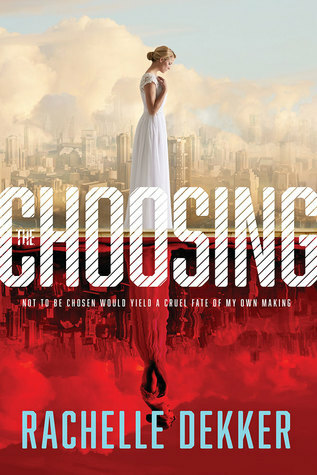 DO NOT MISS “The Choosing” by Rachelle Dekker! This was a tricky one for me. I have never read one of Ted Dekker’s books – I couldn’t get past the covers, so I was hesitant to even consider his daughter’s book. However, I am very glad that I did! …and that isn’t even the reason this was one of the most difficult books I have ever reviewed! 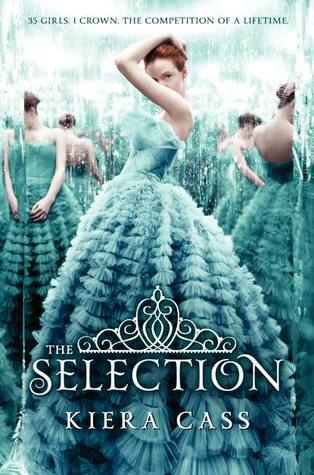 The Choosing is one of those books that will grab hold of you and refuse to let you go until it’s finished with you! And the main focus of the story is something that I have had difficulty with ALL my life! Looking at pictures of Rachelle Dekker, it is difficult to believe she could know anything about having a low self-worth… but if she never experienced it, she clearly did her research well. And in reading other reviews, I’m not sure everyone who read the book has truly gotten the point… clearly they have never dealt with low self-worth (or they’re just trying to mask that they have) but as someone who has been there for much of her life, I can tell you that she hit the mark squarely! And… if you’ve never dealt with low self-worth, it’s a fantastic post-apocalyptic, dystopian novel that will really grab your attention! Like all citizens since the Ruining, Carrington Hale knows the importance of this day. But she never expected the moment she’d spent a lifetime preparing for—her Choosing ceremony—to end in disaster. Ripped from her family, she’ll spend her days serving as a Lint, the lowest level of society. She knows it’s her duty to follow the true way of the Authority. But as Carrington begins this nightmare, rumors of rebellion rattle her beliefs. Though the whispers contradict everything she’s been told, they resonate deep within. Then Carrington is offered an unprecedented chance at the life she’s always dreamed of, yet she can’t shake the feeling that it may be an illusion. With a killer targeting Lints and corruption threatening the highest levels of the Authority, Carrington must uncover the truth before it destroys her. We are excited to team with Thomas Nelson and Colleen Coble to take you back to Colleen’s very first story. After the unexpected death of her brother, Colleen felt a wake-up call to pursue her writing dream. The Journey of the Heart series was born with her brother serving as the inspiration for the hero. The story is the re-imagining of what her brother might have experienced in his beloved Wyoming if he’d lived there as a frontiersman in the 19th century. Released in six installments (short, 128 page books), the Journey of the Heart series reads like one epic book. We hope you will join us on this book-of-the-month tour. I will review all six books in the series. One book will be released per month (March-August), so you will have to come back each month to see my subsequent reviews. I will begin with the first book in the series: A Heart’s Disguise TOMORROW! Until then, GOD BLESS and Happy reading! Book Reviewer… Influencer… Street Team… Where do I fit and what do I do? Anyone who follows my book blog, knows that I review books… A LOT of books! I LOVE to read and I love to share my thoughts on these books with my followers. Along this journey, I have been blessed to join several different street teams. Some of these reviewers are sent books by publishers or promotional companies or the authors themselves. Along with this “gifted” book comes the requirement that the reviewer gives an HONEST review… not just a positive one. An INFLUENCER is someone who is part of a selected group of people who are chosen to help launch a book. Most authors ask the members to post reviews but they require them to be positive. In the case that a reviewer can not post a positive review, they are asked to post none at all – or at least to wait until a month or so after the book has released. But the main job of an influencer is to help get the word out about a book’s release. They are responsible for splashing notifications across social media, requesting the book at local libraries and passing out promotional materials like bookmarks and pens. A STREET TEAM is a combination of the two above. The street team members’ job extends beyond a book’s release. They notify their followers and friends about sales on the author’s books, special giveaways and more. They also hand out promotional materials (when the author has them to pass out), and they are usually required to read the author’s books and review them. Typically, an honest yet positive review is no problem in these groups because the members are generally fans of the author’s work. However, most authors do not require a positive review – simply an honest one… in order to have lots of reviews up – to encourage sales. If a street team requires a positive review, this should always be made clear before the reviewers join. However, lately there has been a bit of drama that has made this point a bit murky. There are street teams out there that are run, not by the author but by a fan or by the author’s assistant. When the case is a fan running the team, there may be some issues because the fan has their own ideas about the author’s work and if a member’s review does not line up with their own opinion, they may find it difficult to be unbiased. Reviewers – be careful about what street teams you join. DO not join simply because the author is high-profile. Join the street team of an author you admire, one you will have no problem promoting! And be sure to read all of the requirements BEFORE you join! Authors – be cautious about how you run your team (or who you choose to run the team for you). Any drama that goes on will not be laid at the feet of that person on social media. It will be attributed to your team and YOUR name. Also… you should be extremely careful about setting boundaries about reviews. 5 stars on Amazon is great but word of mouth still carries a tremendous amount of weight and if a reviewer is unhappy, they will most likely tell almost everyone they know about it. I would also suggest you watch what works and what doesn’t with your friends’ street teams. Learn by example and never hesitate to make suggestions to friends about their own teams. Just because you see where something doesn’t work, does not mean they do. Of course it has to be said… some authors do not deal well with bad reviews. But think of it this way… Is it more important to have ALL good reviews or to have a large number of reviews? Whether the reviews are bad or good, having a large number means that a large number of people have read the book. And… I speak from experience when I say that I have NEVER allowed a negative review to sway me from reading a book that interested me. I have also read more than a few books that received nothing but glowing reviews – which I did not enjoy. Oh yeah! Give me a book about coffee and miracle… I’m in! I know his work from the myriad of children’s stories I’ve read to my kiddos. I also know him from his work on the children’s show – Hermie and friends. But I had no idea really what to expect from Miracle at the Higher Grounds Cafe. What a wonderful story of the power of prayer! A lot of people think stories of God’s miraculous power only belongs in the Bible… or in a fictional story. But I know that God performs miracles NOW… every day! I’ve witnessed them. I been a recipient of them. I’ve watched them change lives and heal people… not just of sickness but of broken hearts and spirits. Clearly Max Lucado has also experienced God’s miraculous power! 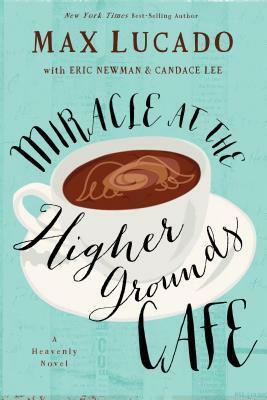 Miracle at The Higher Grounds Cafe is exactly what the cover says… “A Heavenly Novel”! WONDERFUL! Not a book you want to miss! Give me a book about coffee and miracle… I’m in! – Tweet this! Have you bought your copy of Max Lucado’s NEWEST book yet – Miracle at The Higher Grounds Cafe? – Tweet this! What if you could ask God anything? What would you ask? And how would he answer? Chelsea Chambers is on her own. After a public split from her NFL superstar husband, Chelsea takes a bold step out of the limelight and behind the counter of the Higher Grounds Café, an old-fashioned coffee shop in dire need of reinvention. But when her courage, expert planning, and out-of-this-world cupcakes fail to pay the bills, this newly single mom finds herself desperate for help. Better yet, a miracle. Then a curious stranger lands at Chelsea’s door, and with him, an even curiouser string of events. Soon, customers are flocking to the Higher Grounds Café, and not just for the cupcakes and cappuccino. They’ve come for the internet connection to the divine. Now the café has become the go-to place for people in search of answers to life’s biggest questions. When a catastrophe strikes and her ex comes calling, Chelsea begins to wonder if the whole universe is conspiring against her quest to make it on her own. After a shocking discovery opens her eyes to the unseen world around her, Chelsea finds the courage to ask, and heaven answers in a most unexpected way. I was blessed to receive this book free in exchange for an honest review! The next book in Rachel Hauck’s Magnificent Royal Wedding Series! | “How To Catch A Prince” | Book #3 | Review marathon! Before I get into my review, I want to share this video a friend of Rachel’s put together for this wonderful book! Doesn’t it just give you chills! In “Once Upon A Prince”, we were introduced to the first Royal couple in Rachel Hauck’s amazing Royal Weddings series! That story continued in “A March Bride” – a wonderful novella in the Year of Weddings series. “Princess Ever After” introduced us to the second Royal couple in a very unconventional fairy tale and since then, we’ve waited anxiously for the next installment! I’ll be honest with you. This review started very differently a week ago, when I was setting up my post in preparation for writing the review… before I had read the book. And now that I have read the book, I find that I must start fresh – because the words I had planned do not even begin to do justice to this sensational story. I will, however leave the words “You DON’T want to miss even one book in this terrific series!” because you DON’T! Each story is better than the last and How To Catch A Prince is… by far and away… the very BEST! In the dedication at the very back of the book, Rachel makes a point of thanking so many people for helping her in her time of trial… she basically says she doesn’t know how she managed to write this book at all and she outlines for her beloved fans a bit of what she was going through at that dark time in her life. I for one, am grateful. I really think, when reading this book, that it was not Rachel who was writing out these touching words – it was God! And while I feel for the difficult journey that Rachel went through… I am so very glad that she pushed herself to continue because I believe with every ounce of my being that God penned a very deep and meaningful message through her fingers. Sometimes you just have to be completely broken – so that God can lift you up and make you whole again. Perhaps Rachel could never have written so powerfully about Prince Stephen’s struggles if she had not been dealing with her own. Perhaps Rachel could not have properly communicated Corina’s heartache if she had not felt the wrench in her own life. And I thank God from the bottom of my heart for this beautiful story and I feel so very blessed to be able to do any tiny little thing to help get this book into the hands of even one more person. So please, read this book. Please do not miss this exceptional story of loss, love and God’s healing power! You won’t regret it… unless you never read it, that is! A prince, a journalist, a past they thought had been forgotten… – Tweet this! 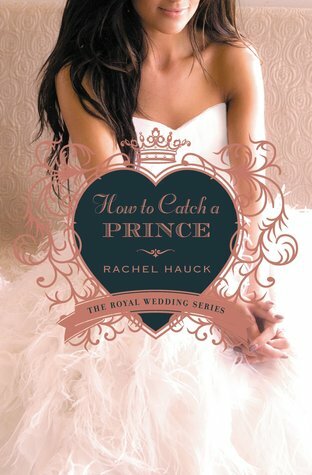 How To Catch A Prince – the next AMAZING installment in Rachel Hauck’s Royal Wedding series! – Tweet this! DON’T MISS the NEXT great installment in Rachel Hauck’s Royal Weddings series! – Tweet this! Have you bought your copy of How To Catch A Prince YET! – Tweet this! Prince Stephen came to America to escape responsibility. But what he found complicates his life more than ever. Corina Del Rey is happy with her life in Melbourne, Florida. She spends her days engrossed in her career as a journalist and has her sights set on climbing the corporate ladder if for no other reason, to distract herself from her dissolving family. But when she is confronted with the past she fought so hard to put behind her, she struggles to make sense of her future. Prince Stephen of Brighton Kingdom has moved on since the tragic death of his buddies in Afghanistan. A star professional rugby player, he has no intention of looking over his shoulder at what could’ve been. But when a notice arrives in the mail requiring his and his wife’s appearance before the courts to dissolve their marriage, he must deal with the questions rumbling around in his heart. He thought his marriage had been annulled long ago, but his memories of Corina Del Rey remain close. Does he still love her? Can he even find her? Above all, can he tell her the truth about that fateful night in Afghanistan seven years ago? If he does, he might really lose her forever. I was blessed to receive this book as part of Rachel’s street team! The opinions stated in my review are my own! Rachel Hauck Marathon | Royal Weddings Series! Once Upon a Prince, the first novel in the Royal Wedding series by bestselling author Rachel Hauck, treats you to a modern-day fairy tale. Susanna Truitt never dreamed of a great romance or being treated like a princess—just to marry the man she has loved for twelve years. But life isn’t going according to plan. When her high-school-sweetheart-turned-Marine-officer breaks up instead of proposing, Susanna scrambles to rebuild her life. The last thing Prince Nathaniel expects to find on his American holiday to St. Simon’s Island is the queen of his heart. A prince has duties, and his family’s tense political situation has chosen his bride for him. When Prince Nathaniel comes to Susanna’s aid under the fabled Lover’s Oak, he is blindsided by love. Their lives are worlds apart. He’s a royal prince. She’s a ordinary girl. But everything changes when Susanna receives an invitation to Nathaniel’s coronation. It’s the ultimate choice. His kingdom or her heart? God’s will or their own? 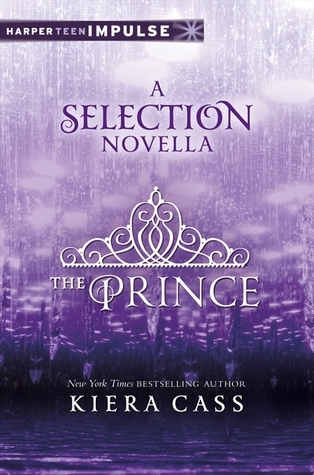 Don’t miss the book that started it all – Once Upon a Prince by Rachel Hauck! – Tweet this! Susanna Truitt (Once Upon A Prince) is three weeks from royalty. She’ll soon marry King Nathaniel II of Brighton Kingdom. But when the government insists she renounce her American citizenship before the wedding, coupled with the lack of involvement by family and friends, her heart begins to doubt whether this marriage is God’s plan for her. Nathaniel would do anything for his bride-to-be. But he knows his position requires that she give up a lot to be with him. Her life will never be her own — right down to her very identity. A March Bride by Rachel Hauck – a wonderful novella in the Royal Weddings series! – Tweet this! Regina Beswick never dreamed of faraway places. She’s happy with her life as a classic car mechanic and owner of a restoration shop. But an unexpected visitor and the discovery of a fairytale, drawn by her great-grandma, causes Regina to wonder if she might be destined for something more. Tanner Burkhardt, Minister of Culture for the Grand Duchy of Hessenberg, must convince the strong-willed Southerner, Miss Beswick, that she is his country’s long-lost princess. Failure could destroy his reputation and change his nation forever. As Regina and Tanner face the challenges before them, neither are prepared for love to invade their hearts and change every thing they believe about themselves. However, when a royal opponent nearly destroys Regina’s future, she must lean into God and trust He has sovereignly brought her to her true and final destiny. A Different kind of Princess story by Rachel Hauck – Princess Ever After! – Tweet this! And we will finish up with Rachel’s newest book in this series which releases in four days! How To Catch A Prince! But when a notice arrives in the mail requiring his and his wife s appearance before the courts to dissolve their marriage, he must deal with the questions rumbling around in his heart. He thought his marriage had been annulled long ago, but his memories of Corina Del Rey remain close. Does he still love her? Can he even find her? Above all, can he tell her the truth about that fateful night in Afghanistan seven years ago? If he does, he might really lose her forever. How To Catch A Prince by Rachel Hauck – RELEASES TUESDAY! – Tweet this! How To Catch A Prince – Rachel Hauck’s NEWEST story in The Royal Weddings Series! – Tweet this! 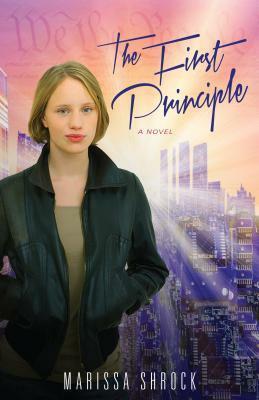 The First Principle is certainly what I would call a MUST READ! And I applaud Kregel Publishing for having the courage to stand up with women everywhere over a tremendously important issue! This story hits home pretty hard for me as I was strongly encouraged by several family members to rid myself of a problem I was clearly not ready to handle – before my son was born. Now, I was not a teenager and I am so very blessed I do not live in the same society outlined between these pages! Because if I did, I would probably not have my precious babies – either one of them. And that would be a tragedy! WOW! Just WOW! ~ From the front cover to the words on the back cover, this is just an exceptional book! However, I feel that Marissa Shrock does an excellent job of communicating how different a person’s outlook can be when they themself are in the hot seat. Vivica’s ideals are a tiny bit shaky from the very beginning – she accepts what is – mostly because she has been told to accept it her entire life, but there is a niggling doubt. And it is that doubt that brings to light just how heinous the system is when she finds herself in trouble! From there, the story just keeps spiraling deeper and deeper. Do not be fooled – this story is not just about teen pregnancy. There is a web of deceit and subterfuge laced throughout the pages that would impress even the most astute mystery reader! And the underlying premise – salvation and redemption! I wish I could afford to buy and distribute copies of this book to every abortion clinic in the world. If even one mother changed her mind about what she is about to do after reading it, it would be worth EVERY penny because THERE IS NO PRICE you can put on a HUMAN LIFE! I am SOOOO excited to discover that Miss Schrock is already busy on a sequel! Don’t miss this compelling look at what could very well be our future. – Tweet this! THERE IS NO PRICE you can put on a HUMAN LIFE! – Tweet this! “Without life, there can be no liberty or pursuit of happiness.” ~ Marissa Shrock – Tweet this! In the not-too-distant future, the United Regions of America has formed. Governors hold territories instead of states, and while Washington, DC, is gone, the government has more control than ever before. For fifteen-year-old Vivica Wilkins, the daughter of a governor, this is life as usual. High school seems pretty much the same–until one day, that controlling power steps right through the door during study hall. When Vivica speaks out to defend her pregnant friend against the harsh treatment of Population Management Officer Marina Ward, she has no idea she’s sowing the seeds of a revolution in her own life. But it isn’t long before she discovers her own illegal pregnancy. Now she has to decide whether to get the mandatory abortion–or follow her heart, try to keep the baby, and possibly ruin her mother’s chances at becoming president. A rebel group called the Emancipation Warriors, who are fighting to restore freedoms once held unalienable, offer her asylum. Can Vivica trust these rebels to help her or will they bring everything crashing down around her? Accepting their help may come with consequences she isn’t ready to face. Marissa Shrock’s debut novel crafts a chilling story of what may be to come if we allow the economic and moral crises currently facing our country to change the foundations on which we built our independence–and of the difference one person can make when they choose to trust God’s lead. And you can find more information and/or buy the book from these popular sites. It’s a REVIEW Marathon! Mary Ellis’ Civil War Heroines Series! | I JUST LOVE THESE BOOKS! Once upon a time, I read a great eBook by Mary Ellis. At the time, I knew she wrote Amish fiction and we owned a few of them but I hadn’t gotten around to reading any of them yet but I had no idea she also wrote historical fiction. And let me also say that I had never really read Civil War fiction before I read Romance on the River. But that one story hooked me so I rushed to get my hands on the next book – The Quaker and the Rebel! My mom won a copy of The Lady and the Officer and now I have The Last Heiress to read too. There’s an interesting story there too but I can’t tell you now… later I promise. Over the next week – I am going to give you a look back at the two books in the series I have previously reviewed and then I will review the next two for you! They’re all such GREAT books! Have you read the Civil War Heroines series by Mary Ellis? – Tweet this! Don’t miss The Last Heiress by Mary Ellis! – Tweet this! I hope you’ll join me on this journey through a fantastic series and I hope I can inspire at least one person who would otherwise not be interested to give this wonderful series a try! GOD BLESS and Happy Reading! 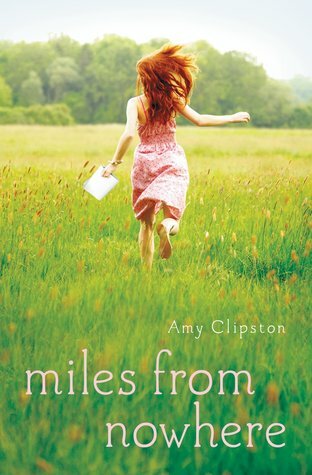 (CLOSED) Who wants to win an ARC (Advance Reading Copy) of Amy Clipston’s NEW YA novel – Miles From Nowhere? I am so very blessed to have in my possession, an ARC (Advance Reading Copy) of Amy Clipston’s NEW YA book – Miles From Nowhere! And I’m going to give it away to one lucky reader – along with two bookmarks, a themed luggage tag and an awesome personalized pen! If you have not read any of Amy’s YA novels, I highly suggest you start with the first one – Roadside Assistance and then continue with Destination Unknown before going on to read Miles From Nowhere but to be completely fair, you can read them in any order you want. Amy is JUST THAT FANTASTIC a writer! Chelsea Morris has always been responsible, dependable, and focused on her dreams of fashion design, a dream that will officially begin come fall, when she leaves for college in New York City. As she settles into her role as the lead designer for the local summer stock theater group, she decides to make the most of her last summer in North Carolina. But with her best friend Emily busy working late and spending time with Zander, and tensions with Chelsea’s boyfriend, Todd, running high, the summer she envisioned seems to be falling flat. Then Dylan joins the latest summer production. There’s something about the college boy that makes her feel free and alive, and soon she’s broken up with Todd, and is sneaking out late to meet Dylan at parties and breaking rules at the playhouse. But before she knows it, her exciting nights are interfering with her job, her role on the play, as well as her relationship with Emily and with her parents. Worse, Chelsea finds herself feeling more and more estranged from God. As the summer becomes wilder than she ever dreamed, Chelsea must decide if her heart is leading her in the right direction after all. Don’t miss Amy’s 1st TWO YA books – Roadside Assistance &amp Destination Unknown! – Tweet this! Thank you to everyone who entered and if you did not win, I suggest you buy the book or request it at your local library! It will be available soon for purchase! Contests are only open to residents of the U.S.
Book companies and authors trust me with these ARCs for the purpose of reviews and I do not want to betray that trust, even in an extended way. Therefore, any winner who is found to be attempting to sell an ARC they have won from me, will be forever banned from all contests on this blog or associated blogs. Don’t let that happen. Thank You and may the best reader win! (CLOSED)Who wants to win a copy of Rachel Muller’s NEW release – Maggie’s Mission? “Letters From Grace” and today I am offering you an opportunity to win an eBook copy of the book – “Maggie’s Mission”! Lieutenant Maggie Johnson has overcome many obstacles in her life, including her parents’ disapproval of her enlistment in the Army Nurse Corps and the sudden death of her GI boyfriend, Danny Russo. A sudden blow that forced her to leave behind a promise once made. But Germany introduces more hurdles that hinder her life. Like Army nurse lieutenant, Peggy Blizzard—a woman as cold as her name. While trying to avoid a war breaking out within her own barracks, Maggie pushes through Germany’s harsh winter, and Peggy’s cold shoulder, and aims to do her job—saving lives. But when tragedy strikes the field hospital, it’s Maggie’s life that needs saving instead. Maggie’s harrowing rescue will haunt her for months to come when a ruggedly handsome soldier comes to her aid and resembles the face of a man she once loved . . . a man who is dead. Is war playing mind games with Maggie, or is she facing the ghosts of her past? The contest is now closed and the winner has been chosen. You are still welcome to tweet about Maggie’s Mission – help promote a GREAT book and a WONDERFUL author! Maggie’s Mission by Rachel Muller is available NOW! – Tweet this! This is actually going to be a fraction of what I read this year. I think if I tried to put all 151 books, wordpress would probably just laugh hysterically and then shut down. LOL! OK… YIKES! That is still a LOT of books! If you want to see the entire list, click HERE! How many books did YOU read last year? – Tweet this! How many books are you going to read this year? – Tweet this! And here’s hoping wordpress doesn’t kill me when I hit publish. LOL! HAPPY NEW YEAR and God Bless! 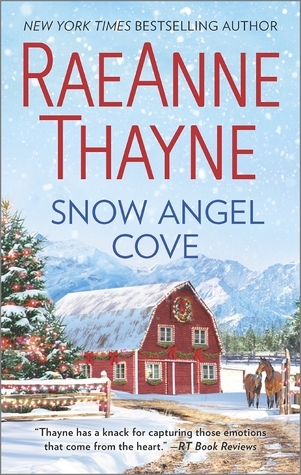 My review of “Snow Angel Cove” by RaeAnne Thayne | Stop #9 of my Salute to Christmas Reads! Oh my word. Who could ever expect a Christmas book to start with a woman and her young daughter watching as a fire destroys all of their hopes and dreams! And then, when it really looks as if all hope is lost, the mother is hit by a car! I’m NOT giving anything away! It’s all in the excerpt! And I’ll prove it to you. Nothing short of a miracle can restore Eliza Hayward’s Christmas cheer. The job she pinned her dreams on has gone up in smoke—literally—and now she’s stuck in an unfamiliar, if breathtaking, small town. Precariously close to being destitute, Eliza needs a helping hand…for her sick young daughter’s sake as well as her own. But she’s not expecting her holiday hero to almost run her down with his car! Rescuing Eliza is pure instinct for tech genius Aidan Caine. At first, putting the renovation of his lakeside guest lodge in Eliza’s hands assuages his guilt—until he sees how quickly he could fall for her. Having focused solely on his business for years, he never knew that what his life was missing was Eliza and her little girl. But is he willing to risk hoping for a yuletide romance that could lead to forever? Yeah… I admit I was more than a little intrigued at how such disastrous events could actually lead to a HAPPY Christmas – so, of course, I had to read it! And boy am I glad I did! Now, before I go any further, I have to tell you this is NOT my normal CHRISTIAN read. But then you probably guessed that from the publisher. However, I will say – to be completely fair – Harlequin has published much more adult books. But you should be warned – this is certainly not in the Inspirational or Christian fiction category and there is quite a bit of content that might shock a reader who is expecting the typical Christian read. I was interested in the book because of the cover mostly… but the story itself sounded very heart-warming and sweet so that was the deciding factor. FAIR WARNING! THE FOLLOWING MAY BE CONSIDERED A SPOILER!!! For the record, there is no inappropriate physical behavior. There are some seriously sizzling kisses and a very well-described desire of thoughts for more but it does not go beyond that – Thankfully. There is also a bit of adult language but again… thankfully… no one misuses God’s name so I’m a happy camper because this is one book I will not be letting go of ANYTIME SOON! WOW! In my personal opinion, this is one of the BEST stories I’ve read this year! The characters are terrific. The plot is believable and I am desperate for more stories to come! It is a wonderful story and an excellent beginning! Great job RaeAnne! I absolutely love having the flip side of a story! You always wonder what is going on in the other person’s head. It’s awesome to find out! Hardly any author does this and I always love it when they do! Great job Kiera! Love It! 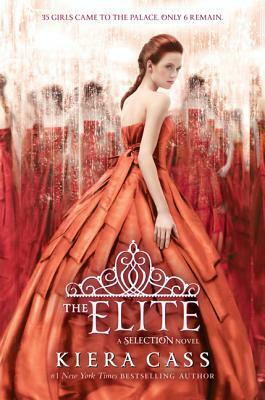 Oh and BTW… I hardly ever buy kindle books but I could not live without this one! Another fantastic book for this series. Terrific character development. I know a lot of people were mad about how this one went along but I enjoyed it. A lot of people are annoyed with America at this point for flip-flopping but I can actually see where she’s coming from. It’s hard being a teenage girl with her heart being pulled in two different directions. Get more info at Goodreads! I can understand why so many people didn’t “get” this book. It is a fairy tale in the most sincerest form with just a bit of modern craziness thrown in. The caste system wouldn’t be understood by people who have grown up with big screen televisions, opulent parties, new clothes whenever they feel like it and positively tons of wasted food. The caste system exists now. It’s just not a big part of the rules. I applaud Kiera Cass! This is a tremendous story! It flows beautifully and the characters are incredibly real. Can’t wait to get into The Elite!